Climate Controlled Self Storage commands higher rental rates, brings in new customers and generates additional revenue for Self Storage businesses. Whether you want to add Climate Controlled Storage units to your existing Self Storage facilities or plan to include Climate Control in new Self Storage Construction, Mako Steel will help you design a cost effective solution. Climate Controlled Self Storage maintains temperatures between 55-90 degrees to protect your tenant’s belongings from the negative effects of changes in temperature and condensation. It also maintains humidity below 50% to prevent mold and mildew. To protect their valuables, tenants are willing to pay 15-35% more than traditional self-storage. While construction costs are somewhat higher than conventional self-storage, the additional revenue generated can make Climate Controlled Self Storage a great investment. Insulate! The building’s heat loss and gain is determined by calculating insulation values, ceiling heights, cubic area, type of construction, amount of lighting, number of windows and air filtration from outside. 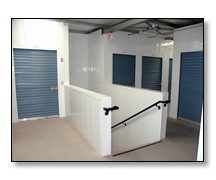 Insulation in your climate controlled self-storage facilities is key to maintaining temperature and humidity levels. Install Heat and AC Units Indoors. 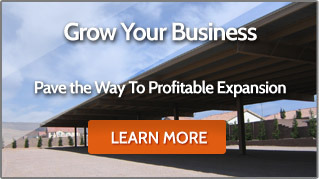 This is especially important if your self-storage facility is located in an extreme climate. Determine the Optimal Size of Heating and Air-Conditioning Units Needed For Your Facility. For homes or offices, 450 to 600 square feet per ton of air conditioning is considered desirable, but climate controlled self-storage requires 1,250 to 1,600 square feet per ton. Controlling Humidity is as Important as Controlling Temperature. The HVAC unit should have a separate humidistat to control the operation of reducing humidity. Install Registers to Control Airflow. By installing registers, you can restrict airflow in some areas or increase it others. Install a Programmable Thermostat. Protect your tenant’s belongings while keeping your costs low with a programmable thermostat. You will be able reduce energy costs by adjusting temperature controls based on seasonal weather and time of day. Consult with Experts on the Efficiencies of Layout. Climate Controlled units should be accessed via a corridor and not situated on exterior walls of a metal building. 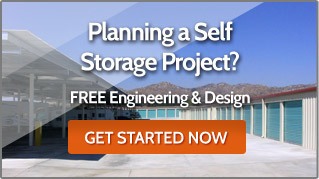 Get Low Cost Engineering and Design Services for Your Climate Controlled Self Storage from Mako Steel – The Leader in Self Storage Construction. © 2013 Mako Steel, All Rights Reserved.